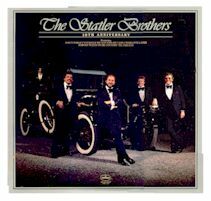 Though The Statler Brothers Quartet was formed in 1955 and has been well-known in country music circles for sometime, it was not until recently that they broke through on of the most formidable barriers in the music field. With their Columbia Record “Flowers On The Wall” which was a smash hit, the Statler Brothers. Did what few country artist are able to do. Their Achievement has been in both pop and country areas. With this achievement they have joined ranks of select groups of country performers Like Johnny Cash, Roger Miller, Jimmy Dickens, Red Sovine and others who have contributed much to the growing popularity of country music. They won the top award over the Beatles as the most popular Quartet and have also won the Grammy Award. Composed of two Brothers, Harold and Dan Reid, Friends Lew DeWitt and Phil Balsly, the Statler Brothers have been friends since childhood. Much of their popularity in country music was gained as a result of there touring with the Johnny Cash Show, and their frist Columbia record release “ The Wreck Of The Old 97” gave their recording career an auspicious start. The start Statler Brothers went on later to have their own TV Show on the Nashville Network on Saturday night. 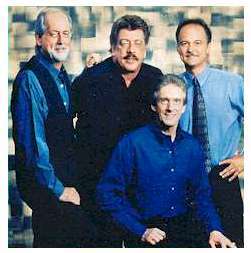 After nearly 40 years the Statler Brothers leave their fans with smiles and great memories. The Statler Brothers can hang up their “road warrior” mantles. The award-winning vocal group has officially retired from the road after almost four decades of touring and great music. They also carved out success in TV with their hit variety series which ran on TNN 1991-98. Retiring from the road doesn’t mean retiring though. The Statlers will continue to recording and make occasional TV appearances. Their most recent recording is “Amen” a gospel album of original tunes. The rest of their time will be spent in Staunton VA , where they lived with their families throughout their career. Jimmy plans to pursue a solo career in country music and Don says he will focus on writing. Don’s first book, “Heroes And Outlaws Of The Bible” has already been published. This last tour brought on a wave of powerful emotions for Don and quartet. “The foremost thing on my mind was that everything I was doing, I was doing for the last time,” says Don The last time I’d be in that building, one we probably had played 20 times of more …. Or at the last time I’d be in town and see those people. I think we were all very much aware of that. But we didn’t want to make our last shows sad so we tried to keep them upbeat. Highlights of a nearly 40-year career abound. Among them are the group’s five invitations to the White House” from different presidents and awards from their fans and the industry. 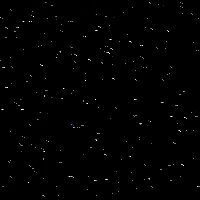 But their best reward came from their music and their people. We were able to do what we always wanted to do, Don declares. Every night when we walked out onstage, we could feel the love from the audience, and I hope they could feel that we were always returning it to them. We have some great fans who have been loyal and sincere over the years. “We have truly been blessed.